Penny stocks are everywhere, but how do you know which are worth your investment? The ZenectWealth team analyzes hundreds of stocks every week to show you what incredible penny stock investments await. Remember – undervalued doesn’t mean cheap – Zenect penny stock picks are chosen for their potential for explosive growth! Penny for your stock? Today’s article highlights the fact that “there are now 359 stocks trading for under $1 a share – the highest in more than 20 years.” In fact, one analysis finds that “the number of stocks currently trading on a major U.S. exchange for less than $1 a share has jumped 38% this year and is up 420% from five years ago….” Moreover, “it’s not just marginal companies that are feeling the strain” and, while the vast majority of these “penny stocks” are from the energy sector, some other sectors are a significant presence as well. CLICK HERE to see the most valuable Russell 3000 stocks currently trading under $1. Consumer goods market researchers have, for years, tracked and studied the rapid rise of the nutritional supplement market. According to market researcher Packaged Facts, the nutritional supplement market in the U.S. hit $11.5 billion in sales in 2012. They estimate the market to hit $15.5 billion by 2017. Packaged Facts suspects a desire for less-costly alternatives to traditional medicine to be the catalyst for this growth. Regardless of the motivation, the numbers don’t lie. Cyanotech Corp. (CYAN) is a Hawaii based company producing two classes of microalgae based organic nutritional supplements, Spirulina Pacifica® and BioAstin®. The former is rich in protein, beta-carotene, B vitamins, and a host of other phytonutrients. The latter is an antioxidant H-bomb with 550 times the concentration of vitamin E.
CYAN’s annual numbers were released on June 24, 2013. The company reported revenue of $6.9 million in the most recent quarter. Up from last year’s fourth fiscal quarter revenue of $6 million. This is an increase of 15.2%. Cyanotech Corp. also reported a net income of approximately $2.6 million… a year-over-year increase from a net income of $1.2 million. As of March 31, 2013, the company reported $4.4 million in cash and $5.5 million in long-term debt. Cyanotech has been in the process of transitioning from a bulk ingredient supplier to a company that produces and markets its own consumer products. Over the past year their consumer products business, Nutrex Hawaii, has seen significant sales increases. The company is in the process of expanding production and building out additional infrastructure for its consumer facing offerings. CYAN’s 52-week low was $4.21 and the 52-week high was $6.70. Right now the stock is trading at $6.02. The 50-day moving average is near $6.13 a share and the 200-day moving average is at $5.17. The company has a market cap of $32.9 million and 5.5 million shares outstanding. CLICK HERE to get access to your FREE Safe Money Guide plus annuity quotes from A-rated companies from Annuity.com. See why 1000’s of people have turned to Annuity.com for their retirement needs. Get started today! Nineteen-seventy was a monumental year for diagnostic science with the discovery of the technology that makes MRI machines possible. The inventors knew they had something big on their hands. And so did some medical entrepreneurs who jumped at the chance to design and manufacture these world changing devices. The first successful human image was performed in mid-1977, and today’s company, Fonar Corporation (FONR) was incorporated the very next year. Fonar Corporation is the first and oldest MR manufacturer in the world. Throughout the subsequent decades they have developed a number of industry breakthroughs. Examples include the first multi-angle oblique scanners and first mobile MRIs. In 1997, the company formed a subsidiary, Health Management Corporation of America (HMCA). This new segment operated 11 diagnostic imaging centers and 6 multi-specialty practices, primarily in New York and Florida. FONR’s most recent quarterly numbers were released on May 15, 2013. The company reported revenue of $11.6 million in the quarter. Up from last year’s third quarter revenue of $9.5 million. This is an increase of 22.3%. Fonar Corporation also reported a net income of approximately $1.6 million… a year-over-year increase from a net income of $1.55 million. As of March 31, 2013, the company reported $9.2 million in cash and $15.9 million in long-term debt. On March 5 the company acquired a majority interest in Health Diagnostic Management (HDM). This dramatically expanded the footprint of their patient facing diagnostic services. To put it into perspective, HMCA performed 45,000 scans in 2012. With the combination of HDM’s 2012 numbers, this jumps up to 113,000 scans. The acquisition resulted in 14 new centers and dramatically expanded this segment’s footprint. In addition, the company is currently developing the OR-360º™. This room-size MRI will enable surgeons, assistants and equipment to utilize the unparalleled detail of MRI guidance without obstruction from the scanner’s magnet. FONR’s 52-week low was $3.02 and the 52-week high was $7.94. Right now the stock is trading at $6.31. The 50-day moving average is near $6.37 a share and the 200-day moving average is at $6.22. The company has a market cap of $38.5 million and 6.1 million shares outstanding. Few people foresaw the massive transformation media distribution would experience over the past decade. Digital distribution methods combine convenience for the user with a relatively low cost distribution method for the provider. Today’s company is positioning itself to become a leader in digital rights management. Its holdings already include hundreds of industry patents and licensing agreements with many leading content distributors. Pendrell Corporation (PCO) has spent the past two years transforming from a next-generation mobile satellite service (MSS) provider into an investment firm focusing on intellectual property (IP) technology.  March 2011 – The company sold an MSS related holding, DBSD North America, Inc., to DISH Networks (DISH) for $325 million.  June 2011 – PCO purchased Ovidian Group, LLC, an IP advisory firm, for $6 million and 3 million shares of common stock to the former owners.  October 2011 – Pendrell purchased 90% of the outstanding capital stock of ContentGuard Holdings, a leading Digital Rights Management (DRM) technologies developer. This type of intellectual property protection is an integral part of digital content distribution models. Companies including LG Electronics, Microsoft, Panasonic, Sharp, Sony, and Fujitsu currently have licensing agreements with ContentGuard. PCO’s most recent quarterly numbers were released on August 3, 2012. The company reported revenue of $20.8 million in the quarter. Up from last year’s second quarter revenue of $195,000. This is an increase of 10,563%. Pendrell Corporation also reported net income of approximately $62.2 million… a year-over-year increase from a net loss of $2.2 million. Net income was three times higher than revenue because of a $48.7 million gain on deconsolidation of subsidiaries, as well as a $10 million settlement from litigation with Boeing. As of June 30, 2012, the company reported $211.9 million in cash and no long-term. During the first quarter of 2012, PCO sold their Brazil property and other satellite related assets for $5.6 million. The continuing divestiture of satellite assets in the first half of 2012 eliminated approximately $61.9 million in related liabilities. In May 2004 litigation began over a dispute with Boeing Satellite Services. The dispute pertained to the manufacturing and management of the company’s medium earth orbit satellite. In February 2009 the trial court ruled in favor of Pendrell for approximately $603.2 million. On April 13, 2012 a California Appellate Court overturned the ruling. In a June 2012 settlement, Boeing agreed to pay PCO $10 million and waive appellate costs. This was in exchange for PCO dropping their petition for review to the California Supreme Court. PCO’s 52-week low was $0.96 and the 52-week high was $2.94. Right now the stock is trading at $1.16. The 50-day moving average is near $1.15 a share and the 200-day moving average is at $1.30. The company has a market cap of $296.6 million and 255.7 million shares outstanding. This Stock Is Going To The Moon! Grab Your Share Of The Profits Now! I found a stock that’s caught the eye of investors. The stock bottomed in July of 2010 and has been shooting for the moon ever since. This stock is up almost 103% in just 7 months. Is it too late to get on board? Not by a long shot. Back in 2007 this stock traded for over $10 a share… If it reached the old highs, it could double in value again! And I think we’ll get back to that level in the next few months. But that’s not the only reason why I like this company. The stock I’m going to introduce to you is in an industry poised to rebound…They have a unique business model generating hundreds of millions in revenue… the stock is hugely undervalued… and the stock pays a fat juicy dividend. Do you really need more of a reason to buy? I didn’t think so… now without further delay let me introduce my latest hot stock pick. The company I want to introduce to you today is none other than NorthStar Realty Finance Corp (NRF). They trade on the New York Stock Exchange for about $5.18 a share. The stock has seen a huge run in the last few months… but I’ll get to more on that in a moment. First, I want to tell you more about what this company does. NorthStar first and foremost is a REIT. In other words, they are a Real Estate Investment Trust (REIT). That means two things… first, they are focused entirely on the real estate industry. And second, as a REIT they are required by law to pay out a big portion of their profits to investors. It’s a bit complicated, but in a nutshell, NorthStar uses their capital… their cash… to buy real estate securities. They leverage up the investment and use cheap money to buy mortgage backed securities, rated notes, mezzanine financing, structured financing, secured financing, and other real estate debt. Best of all, the cash profits get returned to shareholders – just like you and me! Now, you know NorthStar invests in real estate securities… but that’s not all they do. This is a very unique strategy. The company partners with a corporate client who needs to operate in a big space. NorthStar invests in the property and signs a net lease with the tenant. They only do this with big organizations. It’s a great deal for both parties. The corporate client gets a great piece of property without having to front all the cash to buy it. NorthStar grabs a nice piece of real estate and now has a solid tenant who signs a long term lease and pays all the bills. The arrangement is designed to throw off a nice stream of profits too! Now, I know what you’re thinking… real estate!?! The entire industry has been in the trash lately. The homebuilders are getting crushed. Home values are down across the board. And the news is filled with horrible stories about rampant foreclosures. The commercial market isn’t any better! Despite the horrible news, the industry isn’t going away. Think about it. We’re always going to need a place to live and an office to work in. We’re going to need manufacturing plants, and production facilities… and distribution centers. The heart of all these locations is real estate… and despite the recent market turmoil, now’s the time to be buying. You buy when prices are low. You buy when other investors are afraid. You buy when nobody else is… and that’s when you grab the really big profits. And that’s what NorthStar is doing. They’re holding tight to the real estate market. They’re using this challenging time to buy up good quality securities and properties nobody else wants. Just a few months ago, NorthStar bought $28 million worth of real estate notes for only $2 million. Does that mean they just made $26 million? Of course not… but if these notes return just 20% of their original value, NorthStar (and their shareholders) will be making big money! Clearly, the financial situation is key – so let’s take a closer look. 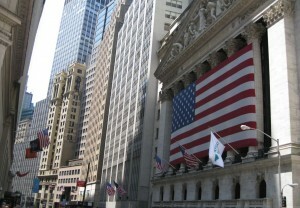 common stockholders for the third quarter 2010 was $144.1 million. That’s about $1.87 per share. However, keep in mind, $198 million was due to an unrealized loss on their investments. If you kicked just those losses out of the numbers, the company would have been profitable. Now, before you start worrying, remember – we’ve just survived one of the most brutal economic recessions of our time. As we see the markets improve, I believe the company will see its portfolio increase in value again… not fall. And that will provide a huge driver to the stock. Now the valuation on this company is a little ridiculous. I feel like I’m buying the Tiffany Diamond for $5.18 at a garage sale! Consider their book value. That’s the value of all the assets after subtracting out all of their debts. The book value is $15.78 per share! Right now you can buy the stock for a 60% discount off of book value… that’s a huge deal. Another valuation metric I like to look at is Dividend Yield. As a comparison, the S&P 500 dividend yield sits at around 1.78% right now. So, for every $100 invested, you get back $1.78. With NRF it’s a little different. NRF paid out a dividend of $0.10 last quarter (and have for the last 8 quarters). Assuming they continue paying out at that rate… it means the company is sending about $0.40 a year to shareholders. With a stock price of just $5.18, it works out to a dividend yield of about 7.75%. In a nutshell, for NRF to reach parity with the S&P 500 on a dividend yield basis, the stock would have to climb by over 440%! If that’s not a nice return I don’t know what is! Now, I’m not the only one who likes this company. While doing my research, I came across a document filed with the Securities & Exchange Commission. It’s form SC- 13G/A, filed by none other than the investment company BlackRock. In case you didn’t know, BlackRock is one of the largest investment managers in the world. They manage more than $3.56 trillion dollars of capital. Here’s the takeaway… According to these filings from early February, BlackRock owns over 4 million shares of NRF in their various funds. That’s more than 6.35% of the company. Clearly they see the huge upside potential like I do! The stock is volatile and tends to bounce around a lot… but that’s “OK.” This is one company you want to buy now and hold for a while. Given the improving industry fundamentals, low book value, high dividend yields, and great market position… this stock could be a huge winner for us. If you like what you’ve read, do your own research… then Buy NRF up to $5.35 a share. The “Recommended Price” is as of the date and time of the recommendation (adjusted for splits and dividends), you may pay more or less. “Buy-up-to” means don’t pay more than this price for the stock. If you can get it cheaper, then great! “Hold” means hold if you own it, but don’t buy it if you don’t. “Sell” means sell. Remember to consult your investing professional before making any trade or investment. And remember all investments have some risk. How high could this stock go? This week, I’m going to introduce to you a stock I like so much I’ve been adding it to my portfolio for the last few years. I started buying PRIMEDIA (PRM) when it was trading at just around $1.00 a share. Believe it or not, it was paying a better than 30% dividend. Since that time, I’ve recouped most of my investment in the dividend, and been able to capture some impressive capital gains too. I’m up almost 400% on this trade already… but there’s still lots of room to run. PRIMEDIA’s business is quite simple. They produce some very useful magazines. I’m sure you’ve seen them in the stores. They publish magazines focused at the apartment rental and real estate markets. If you’ve ever looked for a place to live then you’ve probably used one of their guides. Now home and apartment hunters aren’t simply picking up these printed guides. They’re also going to the web to do their research. Online, PRIMEDIA owns some of the most popular web destinations like apartmentguide.com and Rentals.com to help with online searches. The company makes its money through advertising and sales of ad space to apartment owners and other real estate professionals. PRIMEDIA distributes almost 15 million free guides and directories a year. And these guides show up in 28,000 different retail locations. Needless to say it’s a pretty smart business model. Why do PRIMEDIA’s Customers keep coming back? The answer is simple they get results. Their products are simple and straight forward. No confusion here. They publish a magazine to help people find an apartment. Their other magazine helps people find a home. They publish the magazines and give them away free! Who doesn’t like free stuff? And when you pick up a magazine they’re easy to use. So who are PRIMEDIA’s Customers? They’re the apartment owners and real estate agents. They always have a vacant apartment to fill… or a home to sell. So every month they send PRIMEDIA a check to advertise their apartments and real estate. The stream of revenue doesn’t end. And that’s great news for PRIMEDIA. Month after month, year after year, they deliver needed customers to apartment owners and real estate professionals. Simple, efficient, and profitable. The third quarter numbers were announced a few weeks back, and it was a strong one for the company. Total revenue reached $58.4 million, and their EBITDA was $17.1 million. Not bad for such a small stock. Net Income $6.9 million and the company was able to retire another $6.9 million in long term debt. The company has $4.7 million of cash on hand and $212 million of debt. The numbers don’t bother me much because the company is cash flow positive. Once again, the company’s board authorized the payment of a $0.07 quarterly dividend. The management team doesn’t give forward looking estimates, and there aren’t any research analysts who cover the company. Despite this lack of information, I see the company continuing to hold the status-quo of generating big revenue, and solid cash flow. The nice fat dividend is also a great bonus for shareholders. PRIMEDIA is a stock most investors are overlooking… and you should be adding it to your portfolio right now! Robust Dividend Yield – The company pays out a dividend of $0.28 per year ($0.07 per quarter). With the stock price hovering around $4.40 the company has a yield of 6.3%. Not bad considering the bank pays less than 1%! Big Insider Holdings – The biggest holder of PRIMEDIA stock is Kohlberg Kravis Roberts & Co. They hold just over 58% of the shares outstanding. With a big holder and professional manager like KKR, the company is sure to be run properly. Exciting Industry Exposure – PRIMEDIA is in the apartment rental and real estate sales industries. They are focused on the marketing side of things. So as the real estate market recovers, this stock is sure to grow too! I see a number of positive indicators that will help push the stock price higher in the coming months. First the long term averages… the 200 day moving average is in a nice upslope, and has been throughout 2010. It’s a long term signal that the stock is heading higher. After dipping in mid year, the intermediate term moving averages (65-day) started to climb in late September and has been on a rally ever since. Best of all, it crossed over the 200 day moving average to the upside in late October… yet again another positive indicator for the stock. That brings us to the short term moving average… the 20 day. This one looks a little crazy. You can see it really jumped around in December. Despite the big retracement, the stock is now trading above the 20 day moving average… it’s a good area to establish a position. If you like what you’ve read, remember to do your own research. Buy shares of PRIMEDIA (PRM) up to $6.00 per share.